Surely it would only be a matter of time before she was identified. But this macabre murder mystery did not prove to be so straightforward. Although lists of missing persons were carefully checked, the uncertainties of war had increased the amount of women reported missing and had forced people to change addresses frequently. But the most unusual detail was that despite exhaustive searches through dental records, no trace of the woman was found. Even after a description of the woman and the specific irregularities of her lower jaw were published in dentists’ journals, and despite the fact that she’d had a tooth taken out from the right side of her lower jaw within a year of her death, there was no response. The only thing that the police were fairly certain of was that the woman was a stranger to the area; there were no local missing persons whose description matched that of the victim, and only one clue that came from anyone in vicinity of Hagley. This clue was in the form of a report from the executive of an industrial company. In July, 1941, he had been walking to his lodgings in Hagley Green, when he heard a woman’s screams coming from Hagley Wood. A couple of minutes later he met a schoolteacher walking in the opposite direction who had also heard the screams. The men phoned the police who arrived and searched Hagley Wood, but found nothing. This incident was exactly 20 months before the body was discovered, and, considering the pathologist’s estimate that the woman had been dead for at least 18 months before she was found, seemed extremely promising. However, as with many clues in what the press were now calling the “Tree Murder Riddle, it was to lead nowhere. If no real identity was found for the murdered woman then at least a nickname surfaced. Around Christmas 1943, graffiti began to appear on the walls of empty buildings in various parts of the West Midlands area. The first – “Who put Luebella down the wych–elm?” was followed by many other slight variations, such as ‘Hagley Wood Bella’ found on a wall in Birmingham. 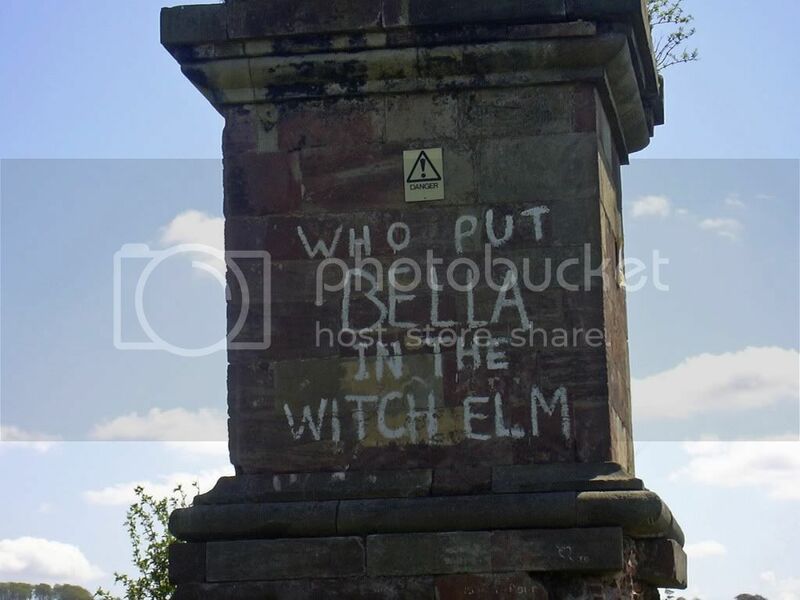 As time passed the messages took on what was to be their settled form for years to come: ‘Who put Bella in the wych–elm?’ they asked. It was thought that the original messages, carefully written in chalk in three-inch-deep capital letters, were probably written by the same hand, working at night. Though the graffiti seemed to be the work of a hoaxer with a sick sense of humour, there was the slim possibility suggested by the slogans that somebody knew something about the crime. But appeals for the mysterious graffitist to contact the police proved futile, though the messages continued to appear, and have so, intermittently up until the present. However, the immediate result at the beginning of 1944 was that the unknown woman was given a nickname that even the police adopted. There were and still are many theories as to the identity of ‘Bella’ and the mystery of her murder. 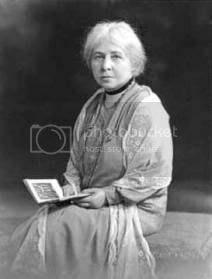 But perhaps the most controversial was put forward at the time by Professor Margaret Murray, of University College, London. She was a respected anthropologist, archaeologist and Egyptologist, but her theories on the origins and organization of witchcraft, with her suggestion that it pre-dated Christianity, were controversial, and not taken seriously by many of her colleagues. Today some of her books have become cult titles including The Witch-Cult in Western Europe (1921), The God of the Witches (1933) and the Divine King in England (1954). Professor Murray drew attention to the fact that the hand was missing from the skeleton when found, and suggested it was the sign of a black magic execution. She linked it with ‘The Hand of Glory’, traditionally obtained at the dead of night when it would be cut from the body of an executed criminal hanging from the gibbet or gallows. The hand was supposed to possess powerful magic, and was used to protect its owner from evil spirits, to reveal where treasure was buried or even to put people to sleep. She also drew attention to the ‘ancient tradition’ that the spirit of a dead witch could be prevented from causing any more harm by being imprisoned in the hollow of a tree. Subsequently the ‘Witch’ theory, where witchcraft was indistinguishable from black magic and ‘Bella’ had been put to death for some serious crime against a mysterious coven, became briefly popular. Inevitably no evidence was ever found to back this up and some people believed that an animal could have been responsible for removing the hand from the skeleton. If so, it would have had to have climbed five feet up into the tree and ventured down into the hole, sorting through the various bones until it found the hand, which was under the rest of the skeleton towards the bottom of the hole. Not typical animal behaviour one would think, yet not proof of a black magic murder either. All this brought the police no closer to solving the Bella murder mystery. Powered by WordPress v 4.9.10. Page in 0.238 seconds.